If your data is stuck on an old hard disk drive (SCSI, IDE, PATA, Apple Mac, Firewire) and you would like it transferred off to more modern drives, eg. USB, then give us a call. Also see below links for some typical hard drives we convert files and recover data from. Early Apple Mac Hard disks were usually SCSI interface, and these were used in the likes of SE30, Lisa, Mac Plus, 256k 512k etc. Later they used IDE / PATA parallel ports such as G3 and G4 PPC (Power PC). The Laptop / notebook Power books and some small external drives used an unusual 2.5 inch Quantum Quantum Go-Drive and Western Digital WDS SCSI drives which have the rare 40 pin-out interface connector. We also recover data from Firewire external disks to USB drives, CD, DVD or provide file download link. If your data is locked inside a SCSI drive or SCSI raid array, then we can extract the files and transfer the data to say a modern USB disk, memory stick or CD/DVD disk. The SCSI drives may be 2.5 inch 40pin as used in Mac Powerbook or external 25 pin portable hard drives, or they may be the larger 3.5 inch SCSI disks. These latter disks had a usually had 50 pin, 68 pin or 80 pin (SCA) interfaces. The 40, 50 and 68 pin connectors sometimes suffer pin damage when the cable is forced or bent at an odd angle, but we can repair the interface to recover the data. Data can also be recovered from SCSI raid arrays where the HDD configuration has been lost or become corrupted. We can recover the data off the Amstrad PC1512HD10 PC1512HD20 PC1512HD30 and PC1640HD20 PC1640HD30 hard disk drives. These old computers came with 10MB 20mb and 30mb Hard Drive, usually formatted in MS-DOS. They were sold by Schneider, Sinclair as the PC500 and in the USA as the PC6400. 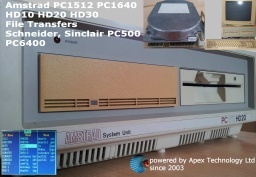 Old Amstrad PCs used a hard disk with the famous St506 interface so they needed a dedicated ISA controller card. KYOCERA KC 30B was a popular make of HD. The computers were also supplied with a floppy disk drive 5.25 inch. HDD Conversions File Data Transfer problems that we recover data from are listed below. 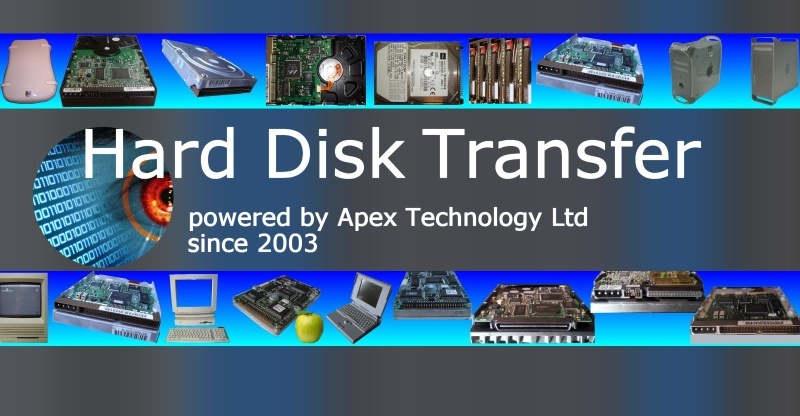 Transfer files and data from old Hard Disk Drives HD HDD Apple Mac, Scsi, IDE, ATA, PATA, Laptop Powerbook G3 G4 Amstrad PC HD20 HD30 ISA Controller Card.